21 Jan	This entry was published on January 21, 2013 at 2:18 am. It’s filed under food, food photography, Gluten-Free, Italian food, vegetarian, winter and tagged cheese, chocolate, dessert, figs, food photography, gluten-free, Italian food, vegetarian, winter. Bookmark the permalink. Follow any comments here with the RSS feed for this post. This is a light dessert that’s perfect with a glass of sweet wine, or with tea. Left: pecorino Crotonese, a hard sheep’s milk cheese from Sardinia, Italy. 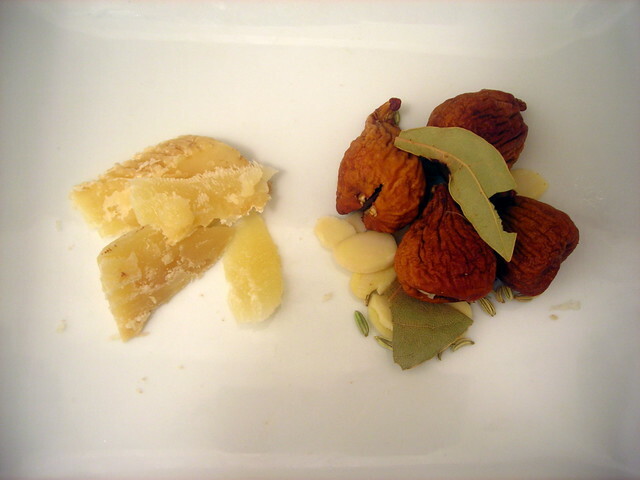 Right: Dried figs, stuffed with Spanish chocolate, almonds and fennel seeds, garnished with bay leaves. Sometimes simple is the best. I was craving figs and cheese last night….and here you are to remind me again.